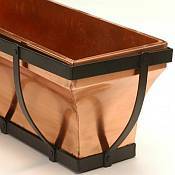 Classic copper window box is a popular choice for gardeners and plant enthusiast. Copper window boxes can be used on just about any window on your home, a deck or a variety of places in the yard or garden. These attractive Window Box Planters are a durable combination of hand-crafted copper and a flat black powder coated wrought iron. Copper window boxes will grace the windows or decks with classic, elegant beauty. The window box is sealed for durability to withstand the outdoor elements. Mounting brackets included which allows you to mount under windows or on wooden decks. The copper will age to a soft green as it is exposed to the elements. Predrilled holes in bottom of planter for easy drainage. 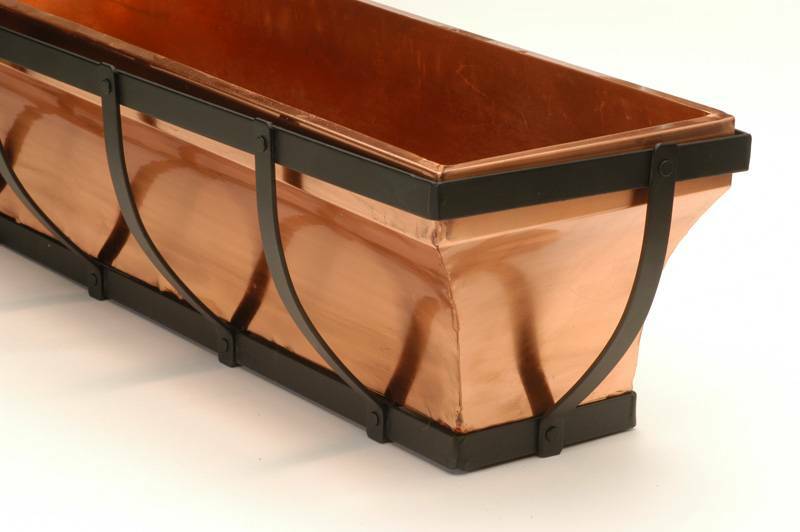 This copper window box is available in 3 different lengths. 30in, 36in, and 48in.